The PianoWell Pro School, Inc.
Find more results for The PianoWell Pro School, Inc.
Search For "Educational Services" Companies in West Palm Beach, Florida - Click Here Now! 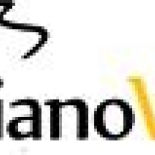 About The PianoWell Pro School, Inc.
Our School Offers Quality Piano Distance Learning And Learning Materials Such As Piano Textbooks With Dvds And Piano Workbooks. The PianoWell Pro School, Inc. in West Palm Beach is a company that specializes in Schools And Educational Services, Nec. Our records show it was established in Florida.